We can supply any spare part that is available. 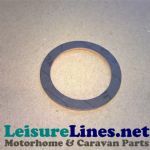 Check our Spare Parts section in the index to the left <--- to see a selection of the popular spares that we have in stock. To help us ensure you get the correct part. Please email a description of part required, a picture of the broken part as it is now and a picture of the whole product the part is for. This will assist us in accurate identification of correct spare part needed. We have popular spares for CBE, SMEV, THETFORD, WHALE, ATWOOD, DOMETIC, WAECO, CRAMER, ALKO, ALDE, SPINFLO, FIAMMA, GASLOW, PROPEX, TRUMA & SHURFLO to name a few brands of our extensive stock. We will endeavour to source any other manufacturers spare parts you require. We have from stock spare parts for Atwood Jolly Boiler Gas Electric Water Heater, Confort 3 Combined water heater and blown air heater, Atwood International I6A-6E, ICH6-6E, G6 & G10 US RV waterheaters. 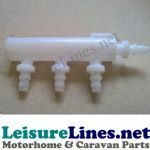 We have spares for Portable and Cassette Toilets, Qube, C200, C250, C260, C500, C2, C3, C4, C400, C262, C263, Aurora, Bravura, Galaxy, MKIV, MKV, Starlite, Aqua Magic, Electra Magic, Porta Potties, the full Refrigerator range and the Spinflo Sinks, Hobs Ovens and Cookers.